I've been a bit intrigued since first hearing of Ubuntu Christian Edition. I had previously downloaded version 1.0, but didn't get around to testing it. I hadn't deleted it yet in hopes I'd find the time to review it. So, when 1.2 was recently released, I thought here was my chance. But after testing it, I'm left scratching my head. The version I downloaded was the livecd version linked to by Distrowatch in the announcement. I had a bit of trouble with the X server and it took some manual fiddling by me to get into the gui. Have no fear, I was able to do it. But what I found was a bit disappointing. I'm not sure if I was expecting a crucifixion scene on the wallpaper, perhaps little fishies for icons (you know those little emblems in the shape of fish that folks stick on the trunk of their cars? ), What Linux Would Jesus Run bash prompt, or what. But all we get is a very Ubuntu-like wallpaper with the words Ubuntu Christian Edition embossed. In the menus we find a small selection of applications including OpenOffice 2.0(.2?). Some others include GnuCash, Evolution, Gaim, xsane, Totem, Serpentine, Sound Juicer, Firefox, and some accessories like gedit and a calculator. All applications were found functional and well behaved (I mean other than the movie player not actually being able to play any movies). Also found was Automatix. This seems like a nice application. It appears it is a software installer. Upon clicking the menu entry, it opens in a terminal and updates an apt sources.list. After a warning about some video codec being against the law in the US and some instructions to run winecfg if installing wine, it then opens a gui software selector. Click on your desired application and it downloads and installs same. It seems to work pretty good, but it also appears to just be a simple front-end to apt-get. It's nice to have all available software presented in a list view from which to choose though. After the first run, it asks if you want to use the Automatix sources.list or the default Ubuntu. All in all, fairly neato. Christian Edition also comes with Ubuntu's hard drive installer. It's identical to the one found in Ubuntu with no changes at all. If you haven't seen it, it's a basic gui that walks you through a few very simple configuration steps and installs xUbuntu. I'd forgotten that it overwrites my bootloader in mbr with grub without asking or warning. grrrr. So far we haven't seen anything distinguishing this distribution from Ubuntu Ubuntu Edition other than the wallpaper. In the menu we find two entries that might be considered within the realm of a christian field. First we have an entry for a script that reveals a daily scripture verse in a terminal and secondly we find the application gnomesword. Within gnomesword we find several nice modules included. Some of these are 3 English Bible versions: Douay-Rheims Bible, King James Version, and the World English Bible; and one Spanish. We find Matthew Henry's Concise Commentary and Nave's Topical Bible dictionary as well. I much prefer the Strong's Exhaustive Condordance and Smith's Bible Dictionary myself to either of those, but to each his own I reckon. And that's it my friends. I can't see how a wallpaper, a script, and one app can warrant a whole separate distribution, but there ya go. (I guess it's three apps - should we count automatix and gnucash too?) It worked well and performance of the system in general was above average. It works good, I just can't see the point of a whole distribution for this. Why didn't they just send in the two packages for inclusion in Ubuntu's software repository? Submitted by Deathspawner on Monday 4th of September 2006 10:01:47 PM. Thanks for the look s.
Submitted by srlinuxx on Monday 4th of September 2006 10:08:18 PM. Submitted by srlinuxx on Tuesday 5th of September 2006 04:19:08 PM. This was received as an email and I felt that perhaps it should be published. That way the things I left out or that might have been inaccurate could be known, although some of his notes on my inaccuracies may not 100% accurate themselves. First let me say thanks for reviewing Ubuntu CE. I appreciate the exposure. However, I am a little disappointed it the review. Not because it was not favorable, but because it was not accurate. I wished you would take the time to read a bit more of the project site, www.christianubuntu.com. This might help explain more about the project. Yes it is just like Ubuntu, in fact it is Ubuntu. It has simply been customized for Christians. Since many Christians who migrate to Linux are coming from Windows, I thought it would be nice to have it ready built for them with there needs in mind. I never wanted the look and feel to be drastically changed from the default Ubuntu. In fact I wanted it to stay very true to the default Ubuntu. You also missed some for the key components in Ubuntu CE v1.2. 1.Preinstalled and configured Web Content Filtering powered by dansguarian with a GUI frontend to make it easy to tweak the filter settings. Games, Gimp). These can all be quickly reinstalled with the Ubuntu CE Installer. So when say “you found a small selection of applications”, this is the same number as those in Ubuntu with the exception of the one mentioned above which are addressed with the Ubuntu CE Installer..
3.Also Automatix is a huge addition. 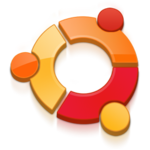 Automatix has become one of the most popular tools for Ubuntu users. It has drawn some controversy over its value, but I feel that it really supercharges Ubuntu especially for the new Linux user who may not be ready to started confuring things by hand. I hope you understand that I am not trying to be rude. I just do not think the review was accurate. It left out some major pieces of the puzzle and did not accurately reflect the goals or the focus of Ubuntu CE. I wished you could somehow at least address the inaccuracies in a follow-up review. Like I said if you don't like it that is fine, just please be accurate. Also, one other note. As far as the X issue. I am not sure why that would be. Since Ubuntu CE is built directly from Ubuntu 6.06.1 "Dapper Drake" you would have had those issues with it as well. We thank Jereme for his input. Submitted by eco2geek on Wednesday 6th of September 2006 05:46:10 AM. I just can't believe you didn't mention that GnuCash could be used to do church bookkeeping. Hmph. Oh, for the sake of fairness, if you want a distro that has the Koran included, try Arabian Linux. Submitted by srlinuxx on Wednesday 6th of September 2006 10:53:15 AM. I know, I'm so ashamed. Submitted by mhancoc7 on Thursday 7th of September 2006 01:34:16 AM. Thank you for posting my email. I really appreciate it. I also want to note that whether or not everyone sees the need for this project the need still exists. Currently Ubuntu CE is ranked #10 on Distrowatch for the last 7 days and #22 in the last 30 days. This along with the number of emails that I have received supporting the project and the number of downloads that I have been able to track shows that there clearly is an interest in the project. Thanks for taking the time to look at my project and I truly appreciate your follow-up. Submitted by Devnet on Thursday 7th of September 2006 09:04:40 PM. The thing is, you're calling more attention to Christian Edition than you are Linux in general...and that's evident by just slapping some software on the install that wasn't there, then dropping a new wallpaper into play. To me, you could create a META-package for Debian/Ubuntu and just have users install it and VIOLA! Christian Edition. That would have been the way to go. Remember, modesty is a key if you're Christian and drawing attention to anything but God is prideful. I'd say you might want to rethink what you're doing. Also, on #1 above, there are too many Christians out there to be defined...afterall, if you were gearing an Spanish distro, you know it would need to be targeted at spanish speaking people. Who are you targeting? Christians? Who are they? Can you name all the denominations and different sects? That's what I mean, by generalizing you're ostracizing. Submitted by mhancoc7 on Friday 8th of September 2006 01:47:44 AM. I am aware that a metapackage would have done the exact same thing. I could have even just created a How To: on the Ubuntu Forums. However, one of the goals of Ubuntu CE is to bring Linux to Christians, not to bring Christianity to Linux. Being a Christian, I am aware that many Christians are not the most tech savvy individuals. Many have never even heard of Linux. I decided that the best way to reach them was to have a "distro" that is based on the best (IMHO) available disto that has been customized with them in mind. For a lot of people Linux is a huge leap, and I just wanted to make the transition easier. I am also aware that there are many denominations and such. My goal is to provide a distro that will be useful to all of them without excluding any. I am aware that this is an almost impossible task. However, I am working on this from my heart and I know that I have the best intentions. Every project that I have done has been driven by the users. So the best barometer of success for me will come from those who try Ubuntu CE and give me there feedback. Submitted by mhancoc7 on Friday 8th of September 2006 01:40:15 AM. Yes, I am aware of the fact that the DW stats are not the best indicator of popularity. However, when Ubuntu CE was first listed on DW my site gained an incredible increase in traffic, and it was not listed in the news section. I also considert the number of downloads and the email correspondence that I have received. I am also aware that just because someone downloads it does not mean they like it or even agree with it. I believe that all of these factors put together at least indicate an interest. Submitted by Devnet on Thursday 7th of September 2006 03:45:52 PM. How's a new desktop user going to take advantage of this? Let's say you have dansguardian configured for localhost browsing. What happens when they go to network their comptuers...which dansguardian are they going to use? All of them? This means that they have to maintain separate blacklists for every single machine...not a good idea at all. Creates work, doesn't eliminate it. Now lets say that the default Ubuntu CE install has it configured to act as a server. Now when each install happens you have a separate server to run with separate blacklists again. Adding this default whether localhost or server mode is not a good thing. Adding it via synaptic/adept IS. Providing FANTASTIC documentation on how they can use it in a "church" environment would be good also. Perhaps you should rethink it? 2.The Ubuntu CE Installer. It allows users to add additional Christian and Educational software with just a few mouse clicks. I've heard of this type of thing. I think it's called Synaptic/adept. Even if the installer offers two or three clicks, Synaptic/adept does the same. You're duplicating something you could have done via a desktop shortcut that is present after install that could launch synaptic/adept and sudo apt-get install application1 application2 application3 etc. You re-invented the wheel here and made the department of redundancy department. Once again redundant. You can download Automatix in a few clicks on the web and then click it open after you download it. This is another thing that could have been done via lists on a website or documentation. Does this warrant an entire distro? I'm not seeing it. Something that can be added via synaptic/adept yet again. Once again, this distro is doing nothing that can't be done within a few clicks or commands after installing ubuntu. I think Tuxmachines hit the nail right on the head for this review. Submitted by vonskippy on Thursday 7th of September 2006 04:47:46 PM. Never argue with these self-delusional ninnies, it's like pounding sand. Once they've lost enough brain cells that logic goes out the window, they coast thru life making up fantasies on how "god" wants it to be that way, or how mere mortals can never understand "gods" will, etc. etc. etc. I think the true colors of this "distro" stand out when he stresses the fact that GNUCash is one of it's key features. Always important to keep track of how much you bilk out of your sheep, I mean flock. as i said "jew on a stick edition"
Submitted by vincentvee on Thursday 5th of October 2006 06:41:49 PM. Submitted by srlinuxx on Thursday 5th of October 2006 07:58:12 PM. Six-years ago, there was a hoax Linux: Jesux, the Linux distribution for Christians. That was a joke. Today, it's real. In fact, there are several Christian Linuxes. Perhaps the most well-known of these is UbuntuCE (Christian Edition), which is built on top of Ubuntu 6.06.1 LTS. What makes it "Christian" is that, in addition to the usual Ubuntu applications, it includes GnomeSword, a Bible study program. Submitted by rbrownclown on Saturday 14th of October 2006 03:15:09 AM. Coming from a Christian at a PC illiterate church, this is a great idea. Having an OS that doesn't have as many of the common church PC problems (spyware, major slowdowns, etc.) is pretty cool. It's still young, so I didn't expect it to be very different from Ubuntu.